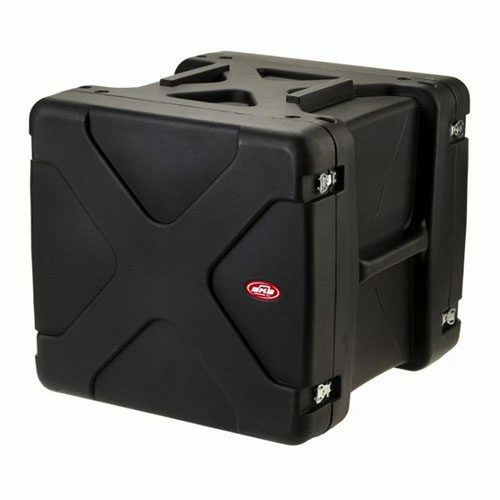 As UK distributor for SKB Cases, we can offer huge savings on bulk purchases. If you would like to order more than one of any SKB case, please contact our sales office on 0116 232 3166 or get in touch via our contact form. 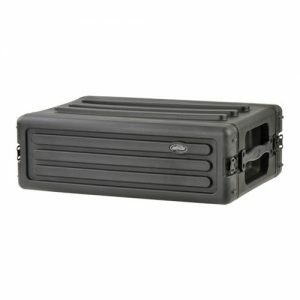 Compound hinge system and field replaceable latches that allows the lid to swing out and completely around to lie flat against the main body of the case, or you can go lid-less with an effortless lift motion and reinstalled with the same ease in seconds. 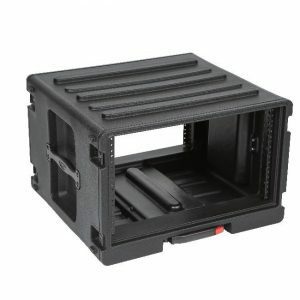 The front and rear lids are designed to protrude into the base of the case approximately 1″ and their unique double wall structure makes them incredibly stiff where this intersection occurs. Making this new generation of shock racks mil-spec sealing characteristics with significantly fewer latches than most competition. This allows for rapid deployment in an up-right configuration — even when stacked. 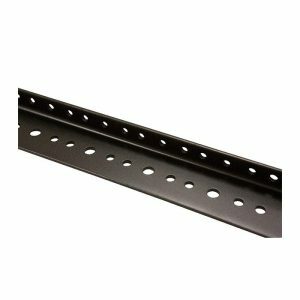 The standard depth front to rear rail is 24″ and each lid is 4″ deep. The new SKB shock-rack system stacks securely with the wheels on or off and this revolutionary design is also the only shock rack that will open front and back while stacked.